Great North Air Ambulance – Durham D.A. 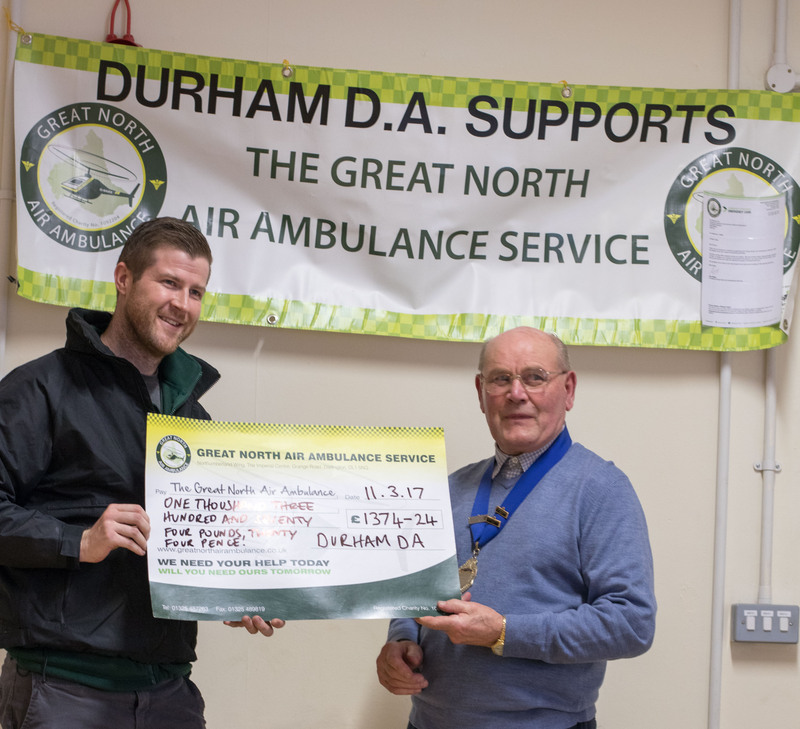 Great North Air Ambulance was presented with a cheque for £1374.24 at the start of Durham D.A AGM, from donations collected throughout 2016. Another great photo, love it. Joan & Michael Cosgrave. & Ann & George Race.